You can happily entertain yourselves all day on the domain. Our 6 x 12 metre (heated) pool has a shallow area for the little ones and is, of course, well protected. There is more than enough space on the terraces around the pool and, to enjoy the sun and the shade, we have plenty of sun beds and chairs available for everyone. With stunning views over the surrounding fields and the medieval village of Laurac, your holiday is complete! 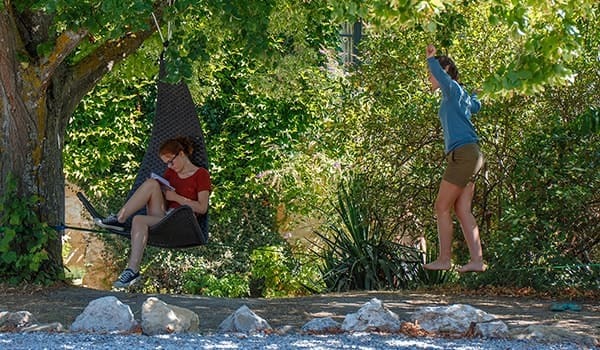 Children can have fun in the garden on the in-ground trampoline, the playground with slide, swings, climbing frame and watchtower or just play old-fashioned tag or hide and seek, climb trees and build huts. 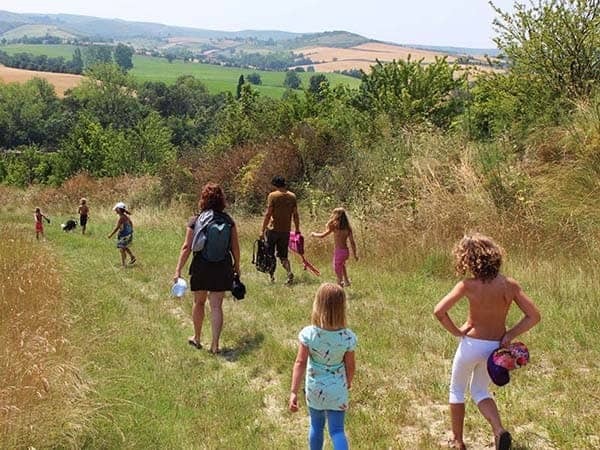 Our Domaine has lots of exciting places to explore, and is surrounded by natural boundaries. There is a large play area for children in our hangar. 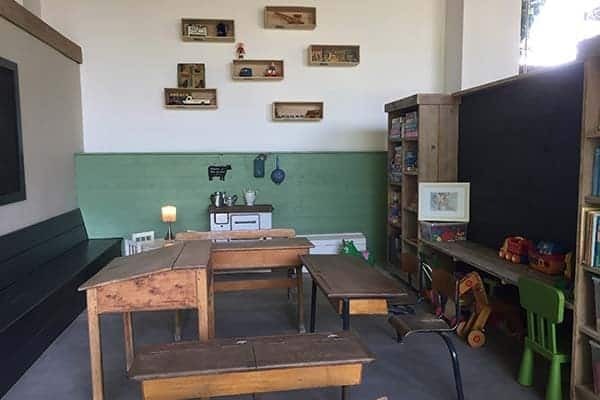 Here they will find a giant swing, table tennis, a large blackboard and tables for colouring in, crafts, reading or playing a game from our great games cupboard. You will find many easy walking trails in the immediate vicinity. From the hills behind our domaine, you can enjoy beautiful views of the Pyrenees, the valley of the Canal du Midi and, on the other side, "Les Montagnes Noires". We have selected the best routes for you and we have walking maps available. Do you like to be accompanied? Our dogs Kaatje and Zusje would love to go with you! Hills or flat? It all depends on whether you go left at the field (towards the valley of the Canal du Midi) or right (towards Laurac and the hills behind it)! Or perhaps immediately across the fields on a mountain bike? Again, we ensure that the best routes and maps are all ready and waiting for you. To make things easier, you can rent bicycles. You can choose from a mountain bike for the sporty ride or a city bike (child seats available). Or how about a dutch ‘ bakfiets’ , kids bike or trailer bike for the more mellow trips? A must here is a unique tour of the bike paths along the Canal du Midi. 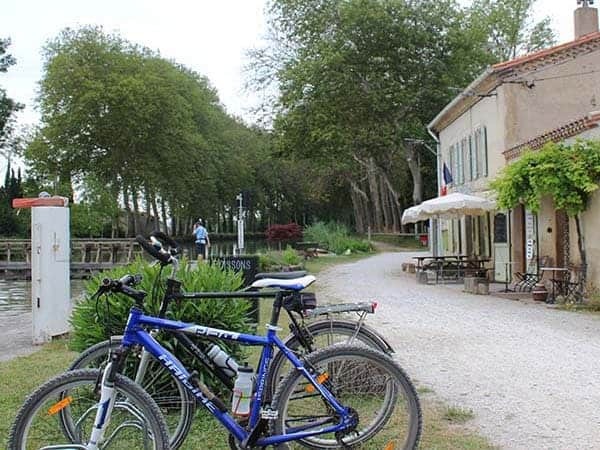 Within a half hour bike ride you can reach the Canal du Midi with its plane trees, numerous old locks and holiday boats. 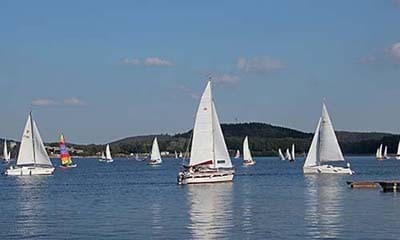 Relax at one of the locks and enjoy a drink, ice cream or the famous homemade lemon pie! For those who have some basic fitness it’s also fun to take part in a mountain bike tour under the guidance of Rob. In a journey lasting around three hours, on one of the six official mountain bike trails, you can experience the beautiful surroundings in a sporty, sometimes exciting and definitely unforgettable way! For a classic holiday experience, why not spend a day at the beach? 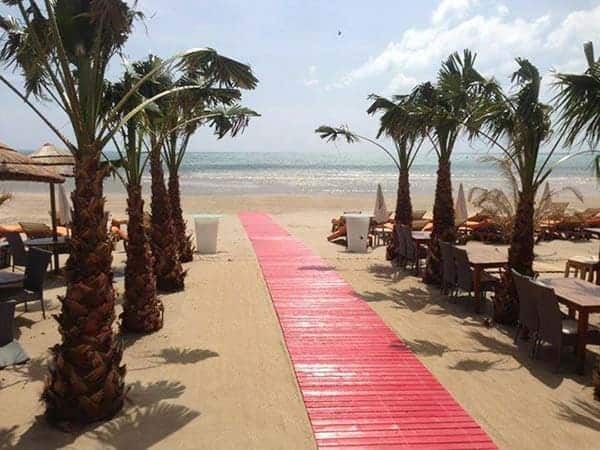 Within an hour's drive you will find several beaches; Narbonne Plage, St Pierre la Mer, Leucate and the authentic harbor town of Gruissan. All these places have wide beaches that gently slope into the sea, no high-rise skyline pollution and plenty to do for young and old. We have suggestions for some fun beach bars! Within a half hour drive you will find the Lac de St Ferreol, between the greenery of the Montagnes Noires. With the many forests and the charming town of Revel (where there is a lovely local market on a Saturday) around the corner, this environment has a completely different look. At the lake is a beach and you can rent pedal boats, amongst other things. Towards the Pyrenees, between Mirepoix and Chalabre, is the beautiful Lac de Montbel. With stunning views of the mountains it is lovely to sit here on one of the beaches, one of which has water sports. Since 2015 the nearby town of Bram (approx 15 min.) provides waterskiing. 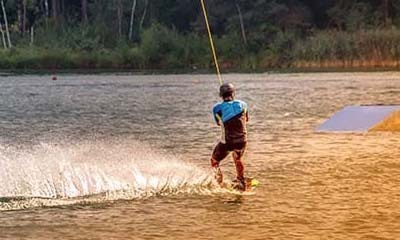 Both beginners and experienced water skiers or wakeboarders are catered for. Difficult? Not at all! 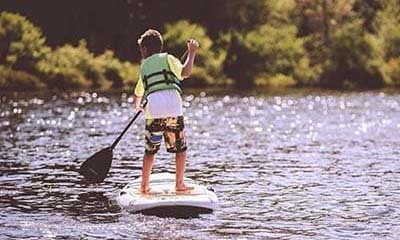 Kids can succeed on a wakeboard in an hour! 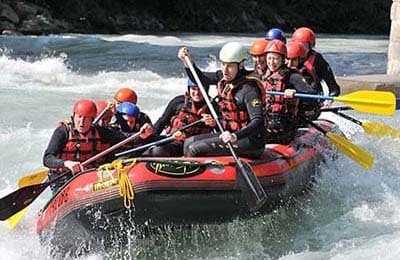 The mountain rivers of Ariège and Aude are perfect for canoeing or rafting. Within a 45 minute drive you will find several centres where you can rent equipment. 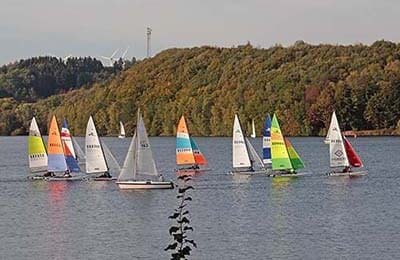 About 25 minutes drive away is the Lac de Ganguise. 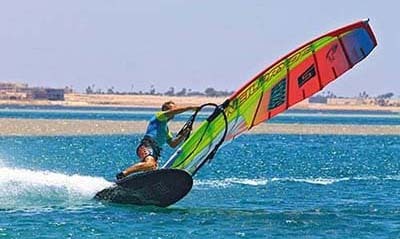 There is almost always guaranteed wind, ideal for sailing and surfing. The beaches south of Narbonne are known as one of the kitesurfing hotspots of Europe. The Leucate world cup races are held every year. You can also take lessons in Gruissan (an hour away). There is a fantastic climbing park in Carcassonne, located near Lac La Cavayère (about 35 min. drive). Several courses are marked out amongst the trees, from easy to challenging and for all ages (even the very young). And how about a zip wire across the lake? The lake also has a really good water inflatables course, with climbing frames, slides etc (think ‘Total Wipeout’ on water!). For teenagers there are also two giant, ski jump style, slides so you can somersault into the water!! Golfclub de Toulouse ( 60 min. drive). One of the oldest courses in the region and established in 1950. 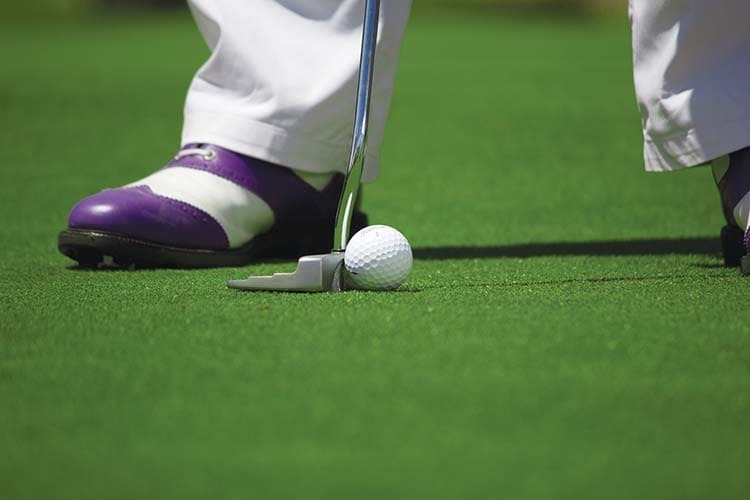 This beautiful rolling course is located right next to the river Garonne. For real enthusiasts there are other 18-hole golf courses within half an hour of Birbès for example Golf de Toulouse Palmola where Joost Luiten won the Allianz Open de Toulouse in 2007. 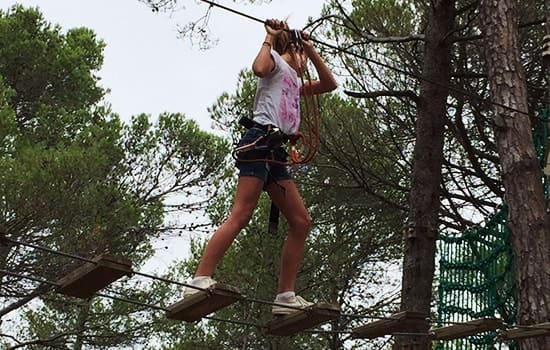 There are also many other activities such as horse riding, mountain climbing, via ferrata, archery and more.